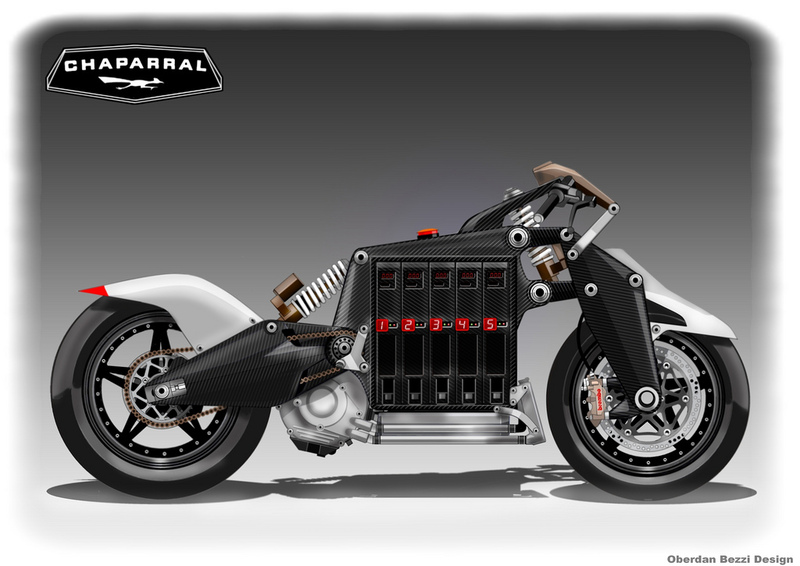 Italian designer Oberdan Bezzi (view our coverage here) is at it again with his pen and paper, and this time he’s set his mind to imagining a battery-powered electric motorcycle. 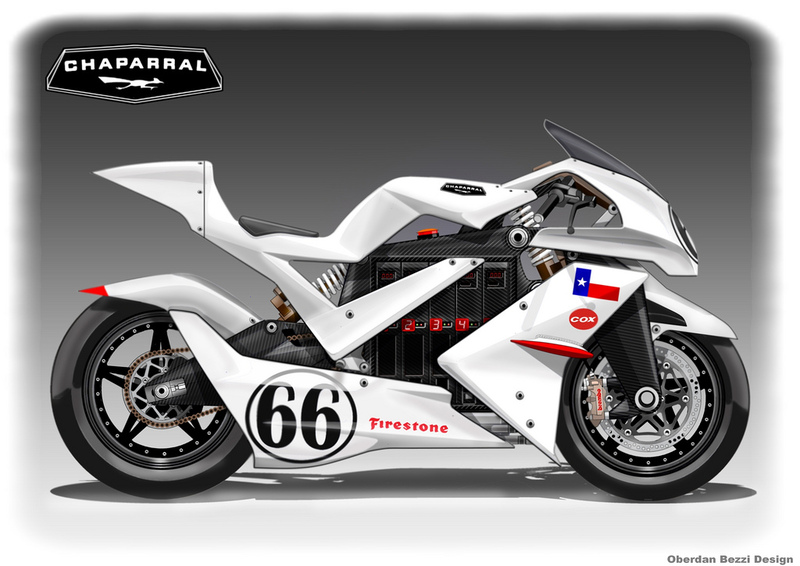 Based off the now defunked Chaparral brand, Bezzi sees the Texan company reinventing itself and entering the electric motorcycle racing scene. The bike has a full carbon chassis, a liquid cooled motor, and great attention to aerodynamics, according to Obiboi. We can also see five removable battery packs on each side of the motorcycle, and single shock suspension used not only on the rear, but also on the front fork assembly. Wait…we feel like we’ve seen this before…Yes, it seems Bezzi has ripped-off every detail found on the MotoCzysz E1pc, right down to the motor and controller mounting points. Of course the A1 e-Racer looks like the E1pc 1.0, with its square battery packs. Oberdan must have missed our article on the eDD where we explained that the E1pc’s chevron shaped batteries allowed for more front wheel clearance. Imitation is the highest form of flattery, right Michael?